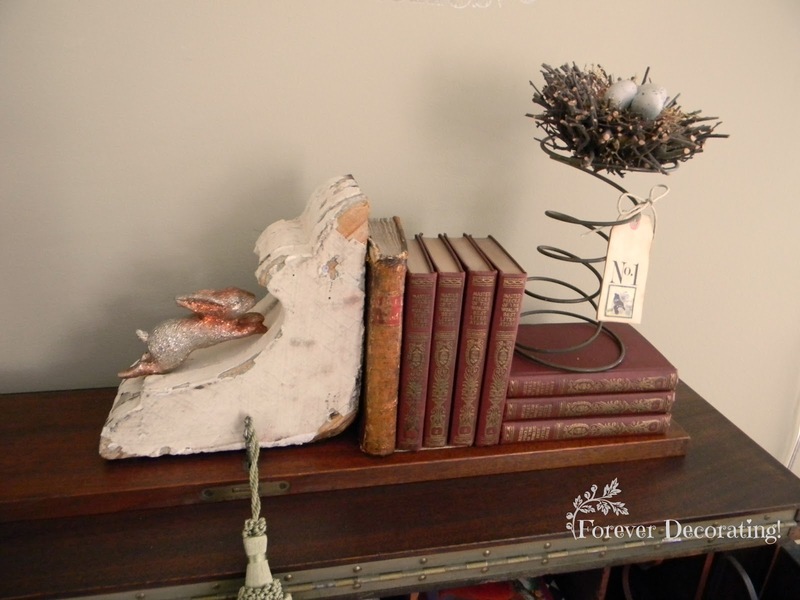 I love collecting Architectural Salvage! allowing both to coordinate, share the spotlight and standout from the norm. 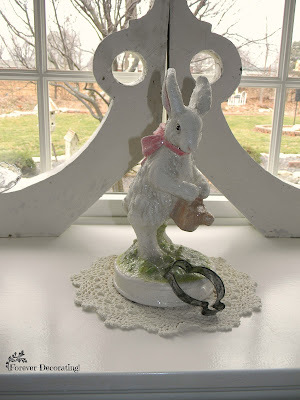 Without even realizing it, as I was taking pictures for my blog to share Easter decor, I realized that Easter decor was not the only common denominator in the pictures...architectural salvage was too! These two corbels behind the bunny in the window make the bunny even more inviting to look at. Another chippy corbel accents the bunny attached to the top of an old weather-worn fence post! 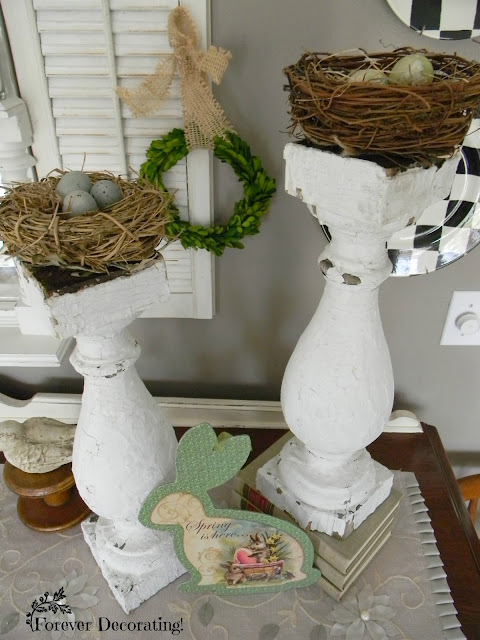 Topped with nests of eggs make them more interesting. I normally buy corbels in pairs, but this one was wide, unique, petite and seemed perfect to perform its duty as a bookend, so I made an exception. Hubby built this faux fireplace in our foyer using old vintage corbels. 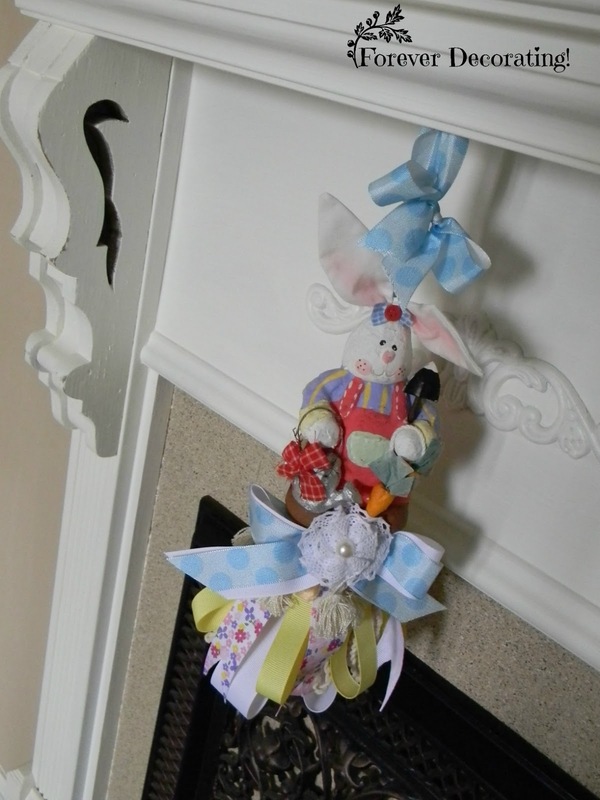 I made the bunny tassel and combined they just make me smile. you can combine about anything and give it more interest. So pretty! I love how you combined all the different pieces together. Yay for spring! 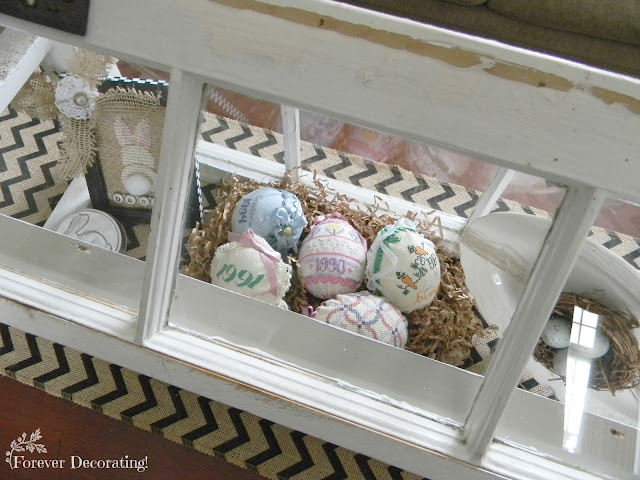 Love all your Easter decorations! Thank you for the inspiration! Oh my gosh I love this post! 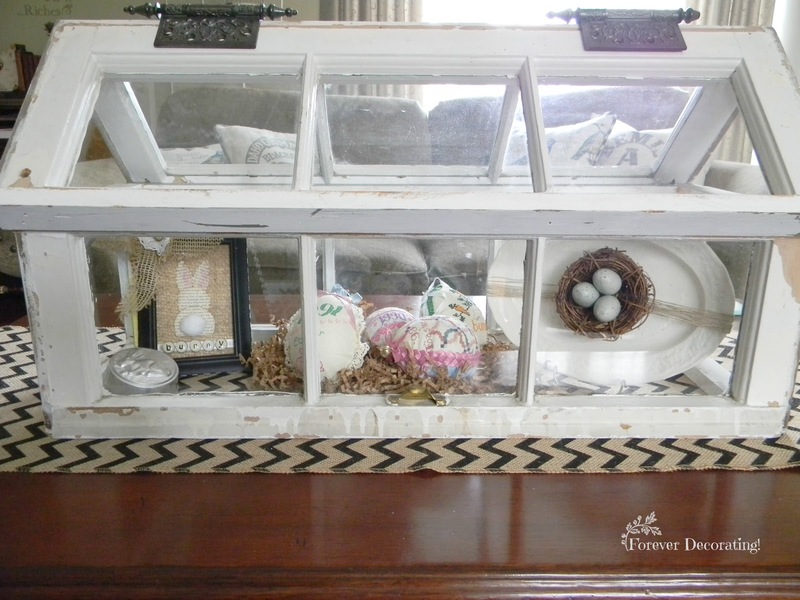 The architectural salvage pieces make your Easter pieces stand out so beautifully. I especially, like your salvaged window house! Where did you find this treasure? I feel this is a jewel in your decor that attracts the eye to wonder what treasures hide inside. I've only just recently stumbled upon your blog, but keep up these inspiring posts. 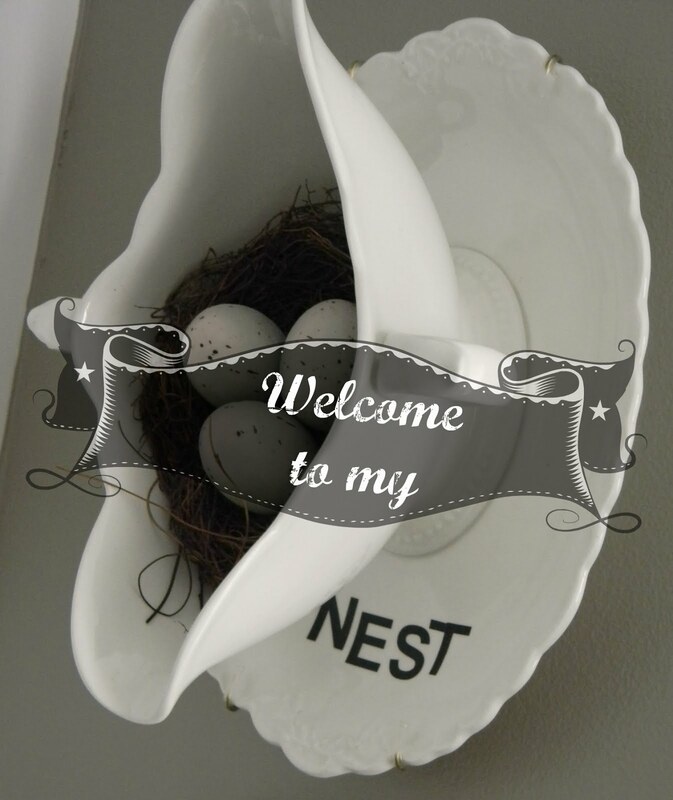 Your a creative and clever blogger I am anxious to follow! I love every livin' lovin' one of your Easter decorations. 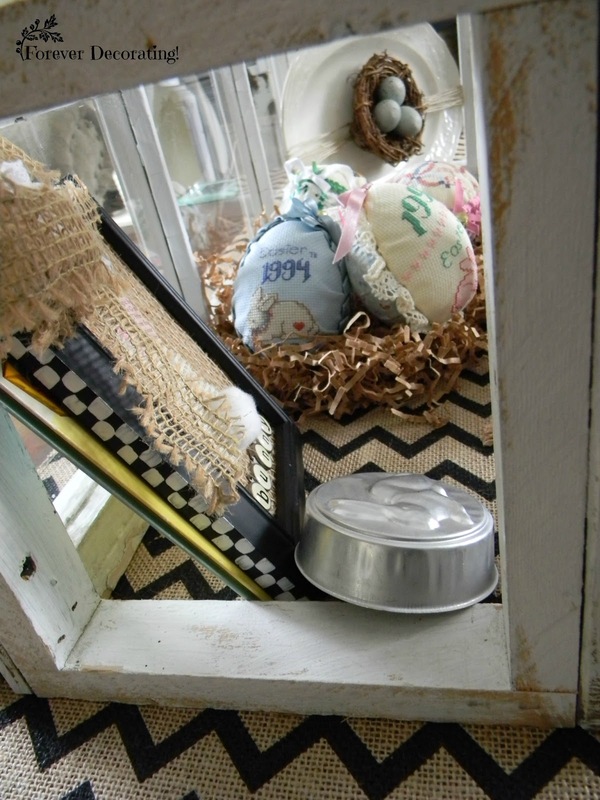 Using "found", chippy and otherwise worn out materials increases their charm a hundred times! 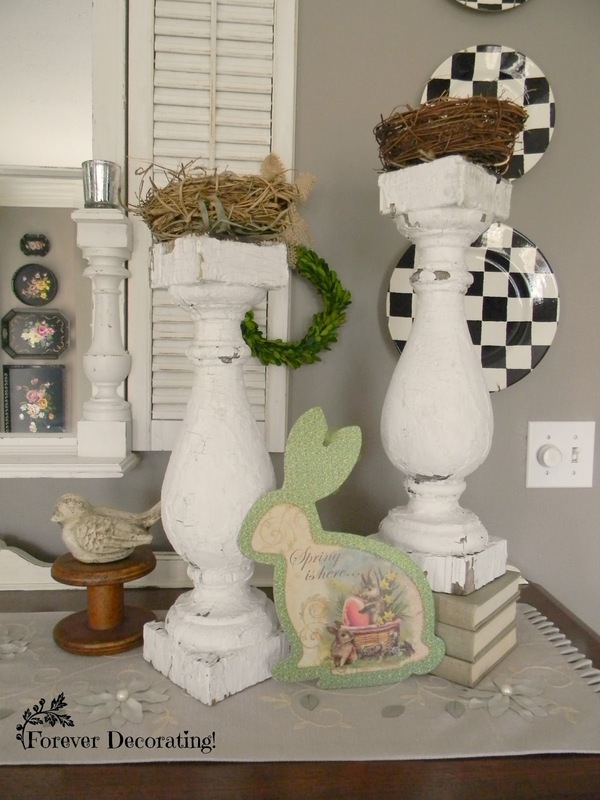 I have to say my most favorite is the chippy corbel coupled with the bunny atop the old fence post. It is so darling and I know just where I would place it. I'm going to give it a try, my grandchildren will love the bunny! Happy Sunday! Terry, I am completely in love with ALL of your beautiful Easter Vignettes and Decor!! So adorable! Pinned several of your images and will definitely be featuring you this Thursday night @ our What to do Weekends Party! Thank you so much for coming and Sharing your beauty with us! 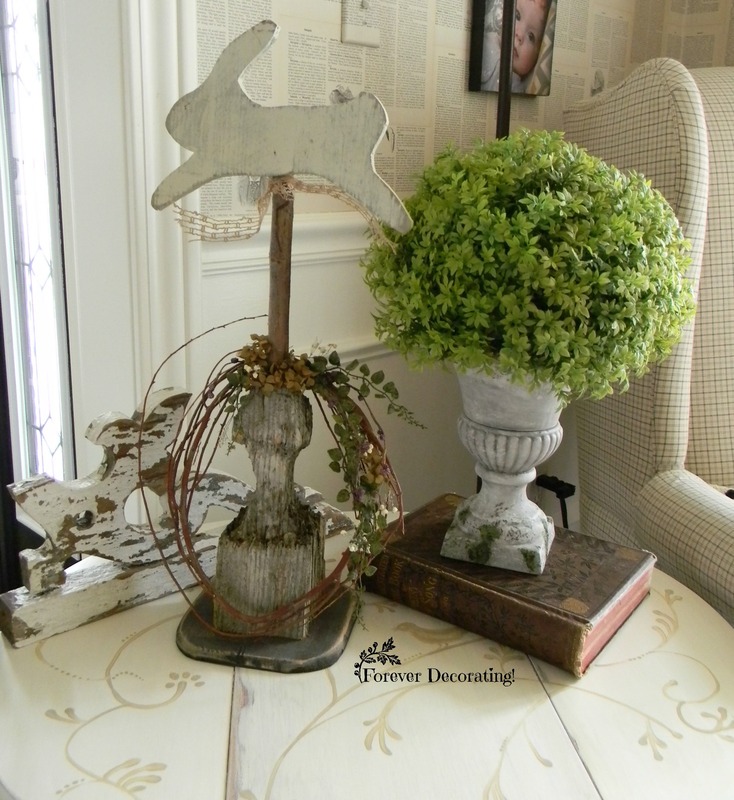 Terry, I am Featuring your gorgeous Easter Decor tonight at our What to do Weekends Party! I hope you get a chance to pop over and see your Feature and feel free to grab our Party Button. Why I Call My Guest Bedroom The MC Room!